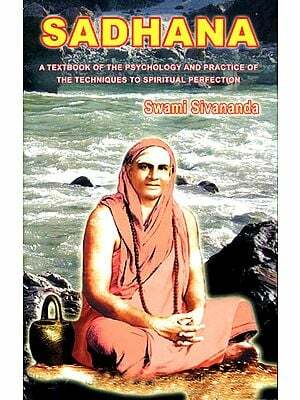 This book is meant to bear out Sri Aurobindo's oft-quoted statement, "Yoga is nothing but practical psychology". Generally, yoga is viewed as made up of certain set practices and certain rules and norms pertaining to one's outer life. 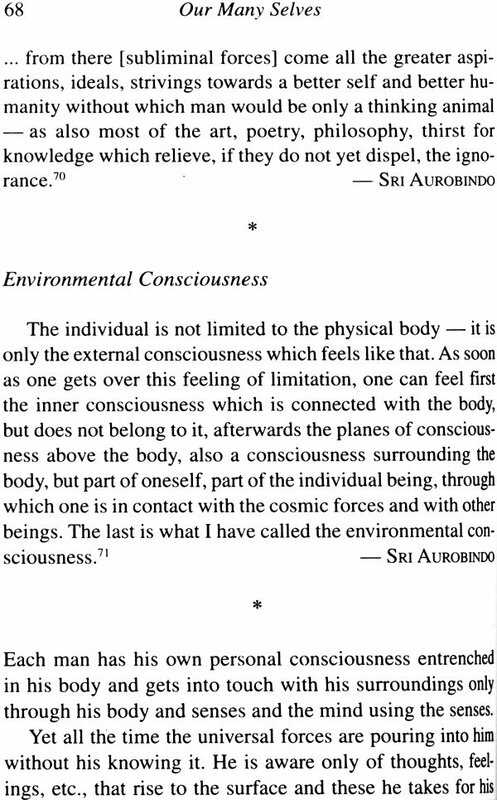 In contrast to this view, Our Many Selves, compiled from the works of Sri Aurobindo and the Mother, presents Yoga as consisting essentially in inner psychological work aimed at the transformation of consciousness. Yoga is generally associated with certain set practices such as postures, breathing exercises, meditation and the like. In addition, yoga is understood as consisting in certain rules and norms pertaining to aspects of one's outer life, such as diet, habits and acts of conduct. 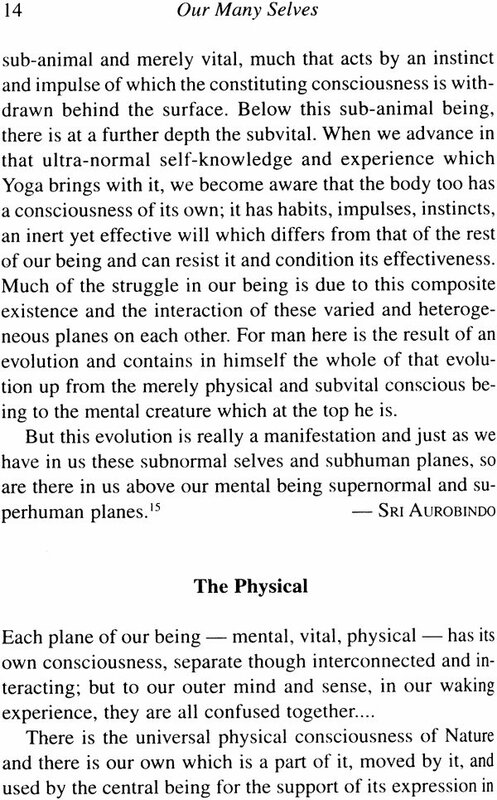 However, as taught by Sri Aurobindo, yoga consists essentially in inner psychological work aimed at the change and transformation of consciousness. As he states: "Yoga is nothing but practical psychology'"; " ... the whole method of Yoga is psychological; it might almost be termed the consummate practice of a perfect psychological knowledge,'? 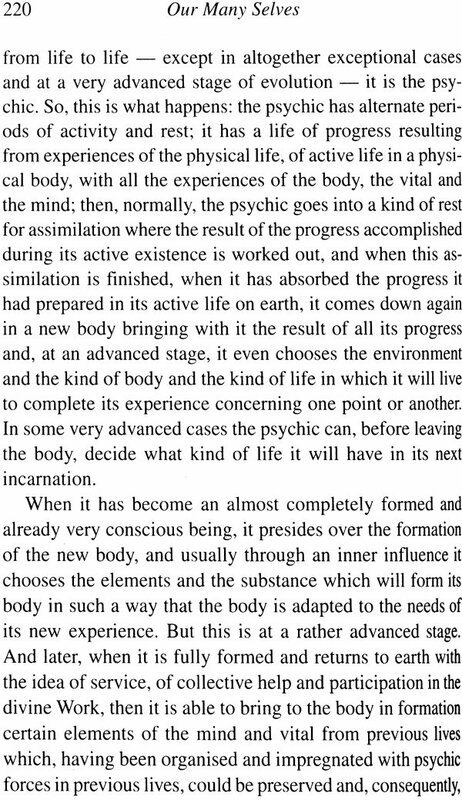 This book, meant primarily for the general spiritual seeker rather than for the practitioner of Sri Aurobindo's Integral Yoga, deals only with the initial and preliminary steps towards the radical change of consciousness aimed at by the Integral Yoga. These initial tasks of psychospiritual growth consist in: emerging progressively from the unconscious state in which one is more or less a fused part of the collective mass rather than an independent individual who is "a truly mental man who thinks for himself, is free from all outer influences, who has an individuality, who exists, has his reality" (p. 104); developing an increasingly greater understanding of oneself by becoming more and more conscious of one's being in all its complexity in order to discern the springs of one's actions arising from the different parts of one's being so as to be able to exercise self-control and attain self-mastery; bringing harmony and order among the diverse parts of one's being which normally are in a state of conflict and disorder; discovering one's true self and unifying one's being which is normally characterised by division and disunity by organising all other selves around the true self. The reader may notice that the majority of passages in this book have been drawn from the works of the Mother because her works consist mostly of the talks she gave to the young folk of the Ashram school to whom she taught in practical terms the preliminary work of inner growth just mentioned above. "First learn to know yourself perfectly and then to control yourself perfectly,'? "To perfect oneself, one must first become conscious of oneself,"?
" 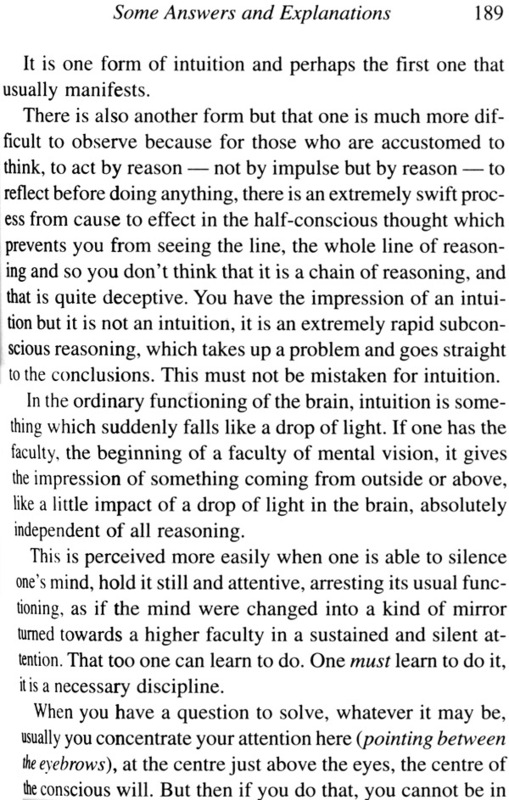 .. .if nobody has ever taught you what the psychic or the vital is, you cannot have any notion of the thing. You may say, 'Today I feel good, yesterday I did not.' Till I was twenty-four I knew nothing about all these things, and yet I could distinguish very well these movements. I did not use these words because no one had taught them to me and I had never read anything, but I felt very clearly the difference at different moments and in what state of consciousness I was. "But you who are here, after all that you have heard and all that you have read and all that I have taught you, you should be conversant with all the movements within you and be able to fix a little label: this is this, that is this other.'? 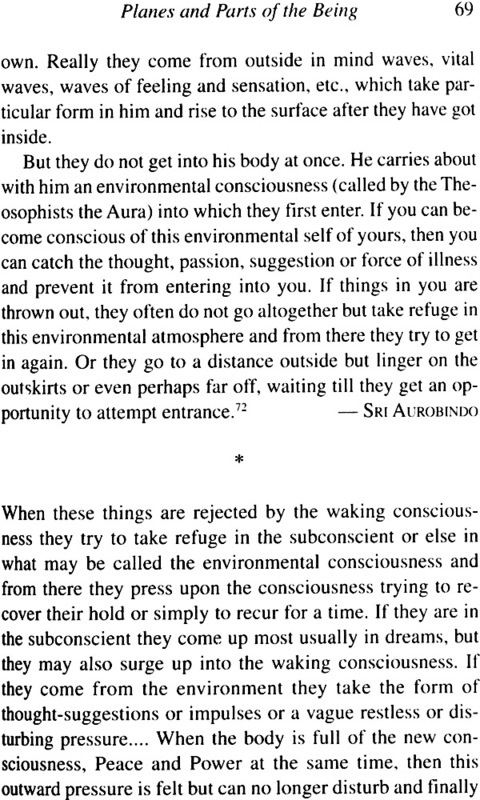 Sri Aurobindo states that it is necessary to distinguish clearly the different parts of one's being not only for the sake of intellectual clarity but also for avoiding confusion in one's experience in sadhana." Thus, for example, with regard to the distinction between the individual self (Jivatman) which constitutes a single centre of the multiple Divine and the all-embracing Divine itself, Sri Aurobindo remarks: "It is important to remember the distinction; for, otherwise, if there is the least vital egoism, one may begin to think of oneself as an Avatar .... "
"Man is in his self a unique Person, but he is also in his manifestation of self a multiperson ... "1 In this statement Sri Aurobindo makes a distinction which is fundamental in understanding his explanation of the nature of the human being the distinction between the Person and its many personalities. 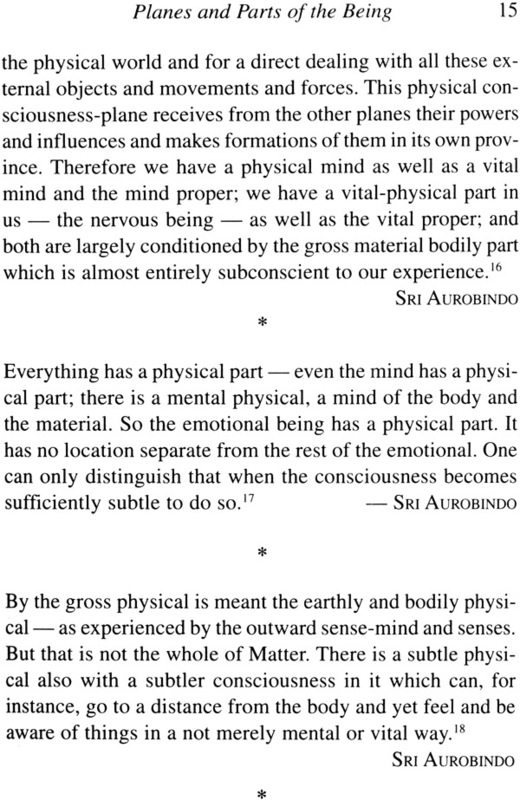 This distinction is far from apparent to us in our ordinary consciousness. "The ordinary mind knows itself only as an ego with all the movements of the nature in a jumble and, identifying itself with these movements, thinks 'I am doing this, feeling that, thinking, in joy or in sorrow etc.' The first beginning of real self-knowledge is when you feel yourself separate from the nature in you and its movements and then you see that there are many parts of your being, many personalities each acting on its own behalf and in its own way,'? We do not possess self-knowledge because we know ourselves not as the Person but as an ego, which is an identification of the Person with the many personalities that constitute the outer nature of our being. In terms of Saokhya philosophy, we do not know ourselves as the Purusha (Person) because we are identified with Prakriti (Nature). In this state of identification with Prakriti, the complex nature of our being is hidden from our view. "To the ordinary man who lives upon his own waking surface, ignorant of the self's depths and vastnesses behind the veil, his psychological existence is fairly simple. A small but clamorous company of desires, some imperative intellectual and aesthetic cravings, some tastes, a few ruling or prominent ideas amid a great current of unconnected or ill-connected and mostly trivial thoughts, a number of more or less imperative vital needs, alternations of physical health and disease, a scattered and inconsequent succession of joys and grief’s, frequent minor disturbances and vicissitudes and rarer strong searchings and upheavals of mind or body, and through it all Nature, partly with the aid of his thought and will, partly without or in spite of it, arranging these things in some rough practical fashion, some tolerable disorderly order, this is the material of his existence.'? Real self-knowledge begins when a separation takes place between Purusha and Prakriti, between the Self and its outer Nature. We then perceive "the extraordinary complexity of our own being, the stimulating but also embarrassing multiplicity of our personality, the rich endless confusion of Nature.?" 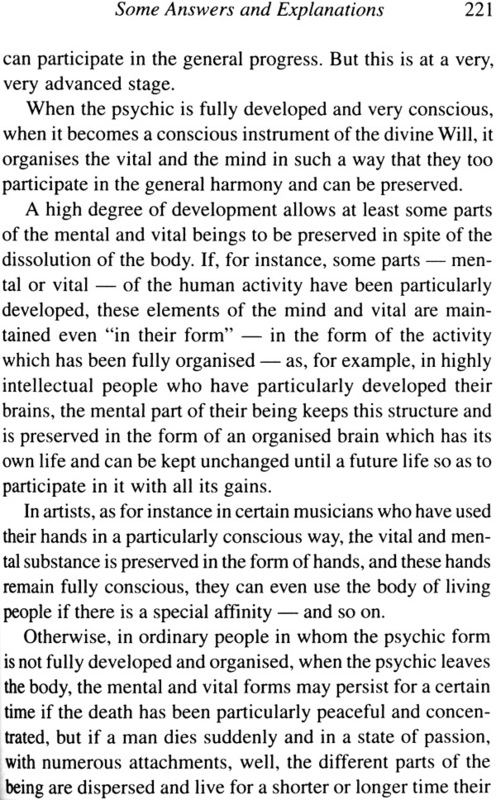 "In the outer surface nature, mind, psychic, vital, physical are all jumbled together and it needs a strong power of introspection, self-analysis, close observation and disentanglement of the threads of thought, feeling and impulse to find out the composition of our nature and the relation and interaction of these parts upon each other. 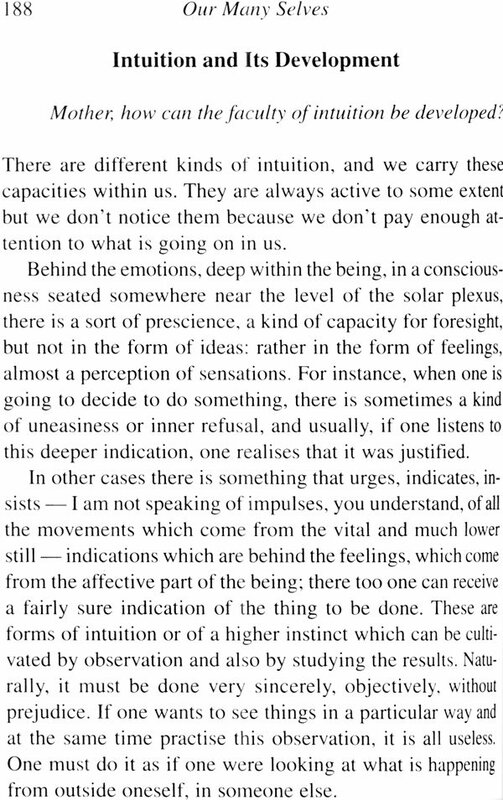 But when one goes inside ... we find the sources of all this surface action and there the parts of our being are quite separate and clearly distinct from each other. We feel them indeed as different beings in us, and just as two people in a joint action can do, they too are seen to observe, criticise, help or oppose and restrain each other; it is as if we were a group-being, each member of the group with its separate place and function, and all directed by a central being who is sometimes in front above the others, sometimes behind the scenes." 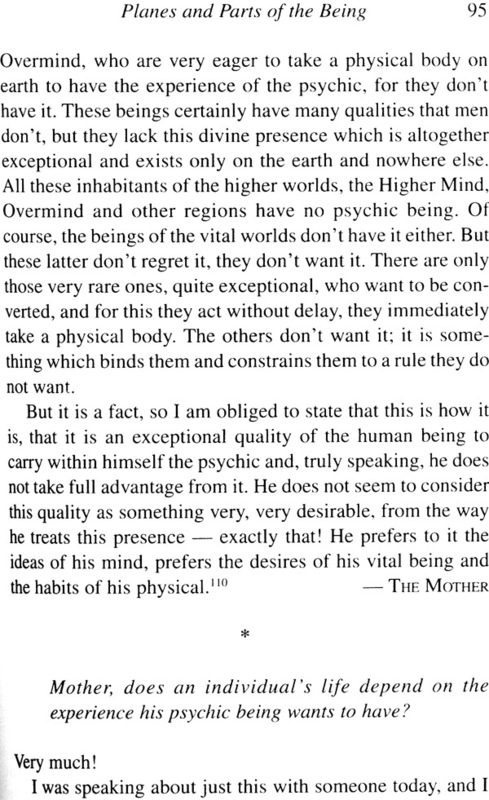 Is Personal Effort Always Egoistic? 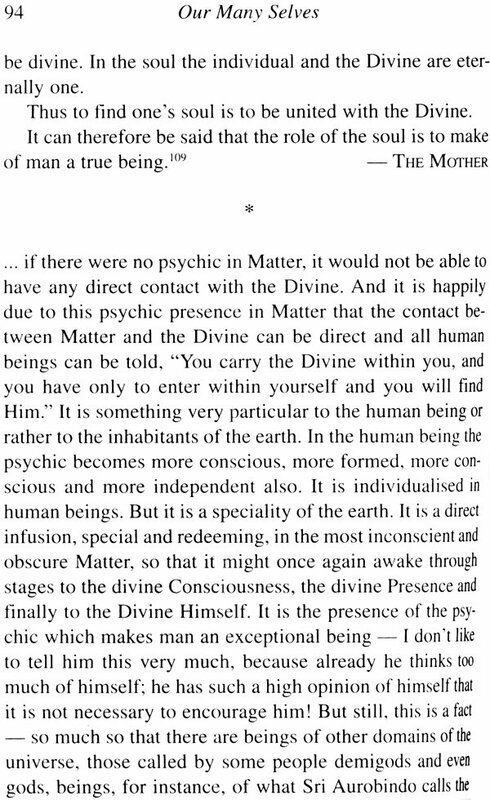 Distinction between "Selfish" and "Egoistic"
Difference between "Spiritual" and "Psychic"